The Aye Aye! Patch introduces some significant changes for the traditional Vampire Counts factions in Mortal Empires, chief of which is the new Bloodlines mechanic. It also grants Heinrich Kemmler a faction of his own, a new campaign start position and extra bonuses. New Free-LC content is also available in the shape of Legendary Lord Lokhir Fellheart, the Krakenlord. A Dark Elf of noble birth, he is a terror of the sea lanes and rightly feared for fielding many dread Black Arks. Fellheart can be downloaded from his own Steam page here. The Aye Aye! 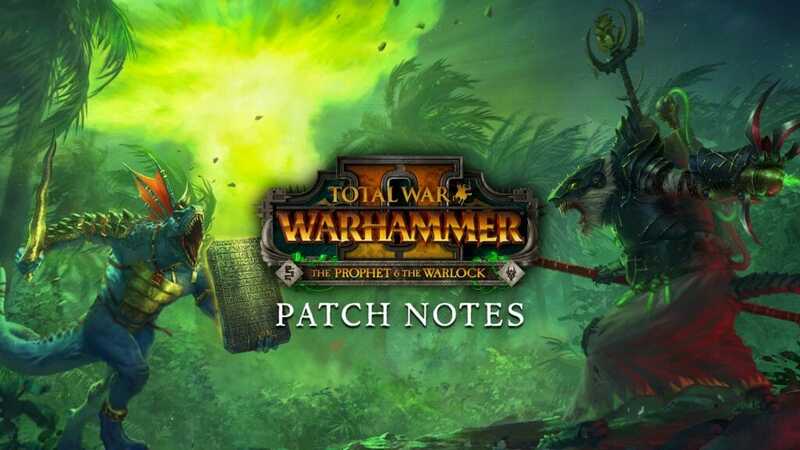 Patch update also brings a plethora of balance changes to factions, Legendary Lords and units, along with numerous tweaks, fixes and improvements to a great many areas of the game. Please see below for exhaustive details. The Vampire Coast sets sail! 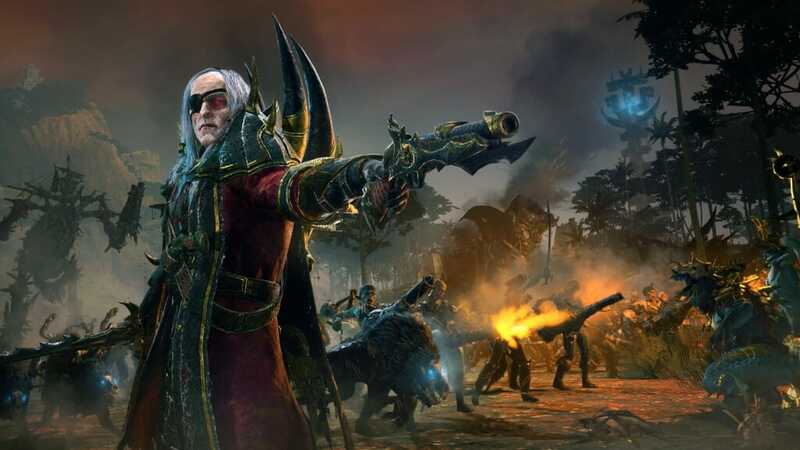 The Vampire Coast have arrived, and has bought with it the terrors of the deep… Playable for owners of the new campaign pack, but also present in the Mortal Empires and Eye of the Vortex campaigns as AI-controlled factions for those players who don’t. Adding a huge new threat, or indeed ally, to the game, the Vampire Coast promise to shake up your game experience and introduce a new range of opponents to match yourself against. As we mentioned in our announce FAQ, we have two new battle types coming free with the Aye Aye! Patch which bring you an active alternative to autoresolving naval encounters: Island battles and Black Ark battles. Up to three of these Arch-Lords may be awoken from each Bloodline, and with each awakening, a new wave of powerful faction-wide bonuses is unlocked reflecting the character and focus of their Bloodline. These Lords also have unique skill trees designed around their Bloodline’s nature. All Legendary Lords (including Vampire Coast Legendary Lords) have also undergone balance changes and tweaks. Please see Faction Changes below for details. Lokhir Fellheart is not technically part of the Aye Aye! Patch, and must be downloaded from his Steam page here. PLEASE NOTE: Due to the wealth of changes in the Aye Aye! Patch, it’s highly likely that any existing multiplayer campaign saves you have will no longer work. If you’re midway through a multiplayer campaign therefore, and wish to continue, we’re keeping the Reinforcement Update (the last major patch) live under the Betas tab in Steam. This will enable you to conclude your multiplayer campaign before updating the game from the Reinforcement Update to the Aye Aye! Patch. New multiplayer campaigns begun when both players have the Aye Aye! Patch installed will work as normal. Single player campaign saves are unaffected, and any you have from before the Aye Aye! Patch will be compatible with the updated game. Blessed Spawnings for Lizardmen now trigger as intended. Loyalty Dilemmas for Dark Elves and Skaven now trigger. In some cases they may now trigger too often – we are currently balancing their frequency. Added a new Host Spectator toggle to multiplayer battles, in order to improve Tournament battle viewing and broadcasts. In this mode, the host can set up the battle but not join it as a contestant. When the match begins, the Host can freely spectate while the battle between players commences. This mode is currently in beta. Malagor: +400 mass, +1 run speed, +100 mp cost, +10 melee attack, +10 melee defence, +10 ap melee damage, +15 base melee damage. Gorebull: +200 mass, +5% hit reaction ignore chance, +5% knock interrupt ignore chance. No longer has terrain penalties in Shallow Water. Grimgor: +600 mass, +5 armour, +7 melee defence. Savage Orc Boar Boyz Big Uns: now truly Bigga’ and ‘Arder with +5 bonus vs. large, -2 charge bonus. Chill of Sontar: -50 cost, Frost Breath is no longer flaming. Doomfire Warlocks: -1 health per entity, +100 cost. Slaanesh’s Harvesters: -1 health per entity, +100 cost. Sisters of Slaughter: -1 melee attack, -1 melee defence. Cold One Knights: -12 charge bonus, +8 melee attack, +2 melee defence. Dread Knights: -6 charge bonus, +4 melee attack, +2 melee defence. Knights of the Ebon Claw: -6 charge bonus, +4 melee attack, +2 melee defence. Tyrion: +100 mp cost, -2 melee attack, +90 ap melee damage, -110 base melee damage. Alith Anar: projectile slightly more accurate, increased projectile penetration. Fay Enchantress: direct damage aura deals 20% less damage. Cold Blooded: Now stops rampage and gives +16 leadership. No longer has max uses, removed stat penalties and healing. 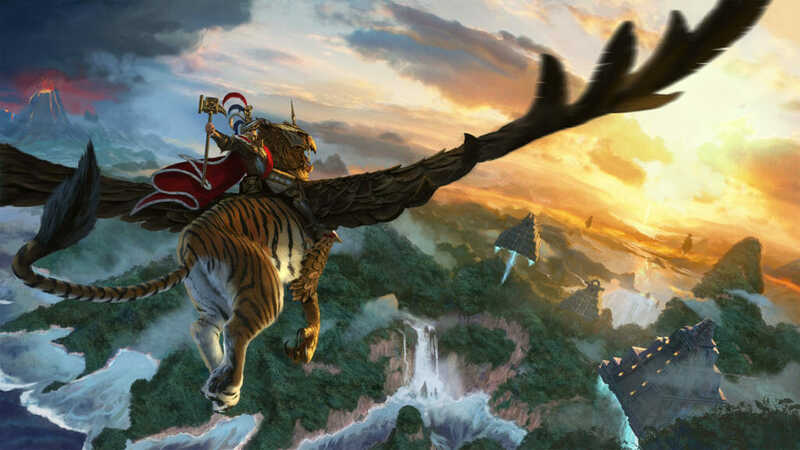 Cold One Riders: Added Primal Instincts ability, +50 mp cost, -10 charge bonus, +10 melee attack, +2 melee defence, +4 ap melee damage, +2 base melee damage. Cold One Spearriders: Added Primal Instincts ability, -10 charge bonus, +10 melee attack, +2 melee defence, +6 ap melee damage, +2 base melee damage. Horned Ones: -12 charge bonus, +6 melee attack, +2 melee defence, +6 ap melee damage, +2 base melee damage. Feral Cold Ones: -12 charge bonus, +5 melee attack, +2 melee defence, +4 ap melee damage, +2 base melee damage. Kroxigor: +5 ap melee damage, +1 base melee damage. Skink Priest (both) – Stegadon & Ancient Stegadon: -100 mp cost. Lord Mazdamundi – Zlaaq: now uses Ancient Stegadon weapon strength. Waystalker: +17 melee attack, +3 melee defence, +15 ap melee damage. Treemen: +190 ap melee damage, -260 base melee damage. Ancient Treemen: +154 ap melee damage, -225 base melee damage. Sisters of the Thorn: +100 cost, -10% physical resistance. War Mammoth: increased acceleration, -1500 mass, -12 melee attack, -2 melee defence, -30 ap melee damage, +14 bonus vs infantry, +30 base melee damage, +4 collision attack max targets, 2 collision attack max targets cooldown. War Mammoth (Warshrine): increaseed acceleration, -1000 mass, -12 melee attack, -2 melee defence, -30 ap melee damage, +14 bonus vs infantry, +30 base melee damage, +4 collision attack max targets, 2 collision attack max targets cooldown. Soulcrusher: increased acceleration, -1500 mass, -12 charge bonus, -12 melee attack, -2 melee defence, -30 ap melee damage, +14 bonus vs infantry, +30 base melee damage, +4 collision attack max targets, 2 collision attack max targets cooldown. Wulfrik – Mammoth: increased acceleration, -1500 mass, +15 missile resistance, -12 melee attack, -2 melee defence, -30 ap melee damage, +14 bonus vs infantry, +30 base melee damage, +4 collision attack max targets, 2 collision attack max targets cooldown. Marauder Chieftain – Mammoth: increased acceleration, -1500 mass, -12 charge bonus, -12 melee attack, -2 melee defence, -30 ap melee damage, +14 bonus vs infantry, +30 base melee damage, +4 collision attack max targets, 2 collision attack max targets cooldown. Frost Wyrm: Frost Breath is no longer flaming damage. Hell Pit Abomination: +15 ap melee damage, +5 base melee damage, Summoned Skavenslave Spears now have Scurry Away and Strength in Numbers abilities. Sepulchral Stalkers: +1 melee attack, projectiles deal +1 ap melee damage each. Eyes of the Desert: +1 melee attack, projectiles deal +1 ap melee damage each. Shield of Thorns Upgraded: Replaced missile resistance with 22% physical resistance. Reduced duration to 22 seconds. Reduced cost.